ABA-PGT is one of the rare precision plastic companies equipped with full- service Mold Making and Injection Molding on-site facilities. Our quality systems standards and one-stop-shop services provide clients with unrivaled convenience, seamlessness, reduced costs and lead times. 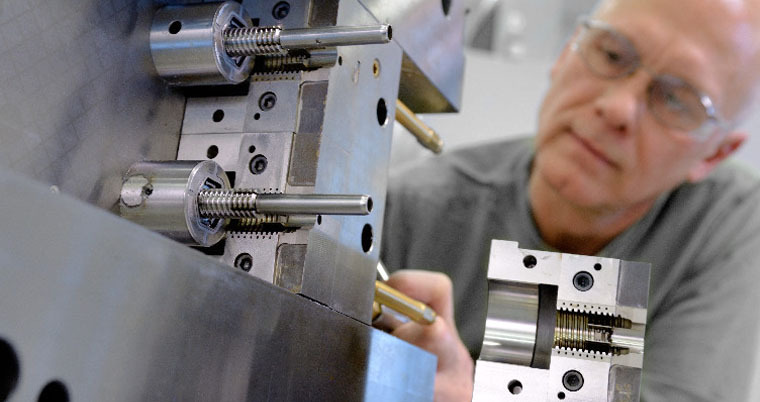 Our production molds can exceed 2,000,000 cycles with minimal "unscheduled" down time. High precision injection molding services including thermoplastic, 2-shot, and automated insert molding.